Currently on SALE: Shell Tellus S2 VX 32 DRUMS! 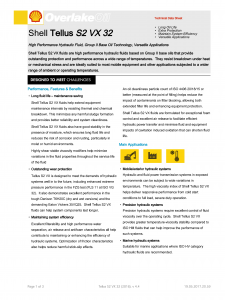 Tellus S2 VX 32 is a high performing hydraulic oil that provides excellent protection and stability across a wide range of operating temperatures. Schedule your delivery TODAY by calling one of our lubricant experts! Are you looking for specialty or hard to find Hydraulic Fluids? Mineral based hydraulic fluids are applicable to the majority of hydraulic system applications. These high performing fluids resist heat and mechanical stress breakdown while protects damaging deposit formation. In addition, these fluids are formulated to extend equipment maintenance through moisture stability, excellent foam control, and outstanding wear protection. 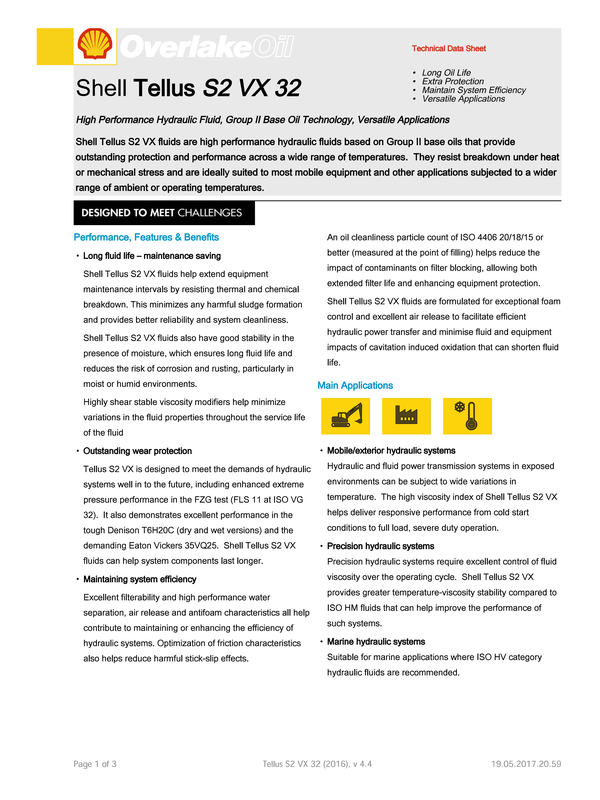 Extended temperature hydraulic fluids deliver up to five times’ longer life to provide high levels of efficiency. These fluids are intended for highly loaded and severe service conditions or where wide ranges of operating temperatures are encountered. Available ISO viscosities: 15, 22, 32, 46 or 68. Water Glycol – A solution of glycol in water blended with a variety of additives to impart viscosity, corrosion protection, and anti-wear properties. 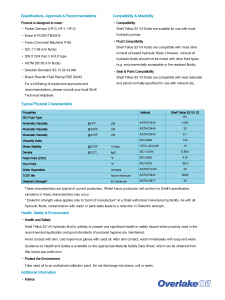 Polyol Ester – Synthetic fluids containing additives to impart anti-wear properties, corrosion protection and viscosity modification. Phosphate Ester – These synthetic fluids are extremely fire resistant and are ideal in a widespread of industrial use as well as military and aircraft service. 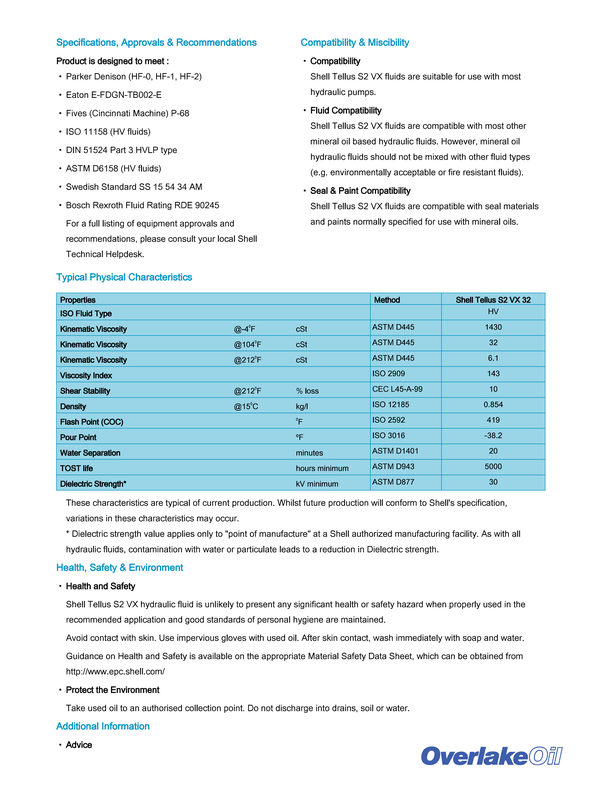 Vegetable Oil – This synthetic option is made of natural vegetable esters and a unique blend of additives. The biodegradability offers low Eco toxicity as well as outstanding oxidation stability. Do you need a fully biodegradable hydraulic fluid or do you just need a zinc-free hydraulic fluid? A common misconception in many hydraulic applications concerns the two terms: readily biodegradable and inherently biodegradable. Inherently biodegradable hydraulic fluids are most common in sensitive environments requiring a “passing grade” on aquatic animal tests. In addition, these fluids use additive chemistry containing no heavy metals or zinc and are made with synthetic or highly refined base oil like a polyol ester base. Consequently, in recent years we have noticed our customer base switching to zinc-free hydraulic fluids over conventional mineral-based hydraulic fluids due to environmental benefits. Readily Biodegradable hydraulic fluids utilize a vegetable or canola base oil with a synthetic esters blend to enable these fluids to pass the “60-day test.” As a result, these fluids can degrade within 60 days of environmental contact which is ideal in applications that take place over water.